Without the use of a range of reliable chemicals, a professional cleaner simply couldn’t do their job. 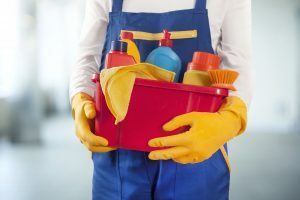 It is always surprising to hear that statistically, injuries and accidents in the cleaning field outstrip other workplaces mainly because some cleaners choose to work without the essential safety gear that protects them. Exposure to germs and pathogens also serve as a constant health threat, so it’s timely to consider where you can get the essential safety gear in Perth for a safer workplace. Understandably, different cleaning jobs can require differing types of safety gear. Here are the basic items that can be used in most cleaning situations. 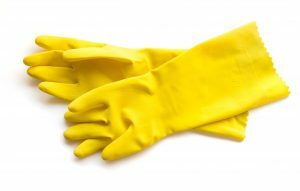 Ranging from vinyl gloves to heavy duty nitrile gloves and even elasticised cotton gloves, they all serve to protect cleaners’ hands from chemicals, wound possibility and germs. Wearing gloves improves job efficiency as well, as the wearer only has to think about the work at hand and not about protection. Absolutely essential in almost every cleaning scenario, goggles protect against foreign bodies, chemical splash and fumes. Even seemingly innocuous chemicals that splash into an eye can cause irritation. 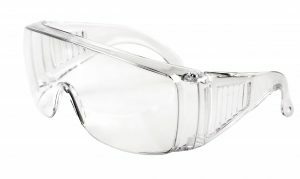 Goggles and protective eyewear keep cleaners safe and effective in their jobs. 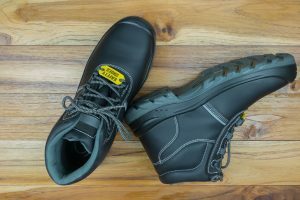 Rubber-soled safety shoes are essential for slip resistance, a protective cover and shock absorption. These shoes are great for a variety of cleaning duties from floor waxing/cleaning to working on hot surfaces. Pretty much a list-topper, a good vinyl apron protects professional cleaners from chemical spills, sprays, grease, oil and abrasives. It can also greatly extend the life of the wearer’s uniform. No matter where you buy your safety gear in Perth, you cannot rely upon its protection alone to keep your cleaners aware of possible workplace accidents. There also needs to be an on-going education process in place. Plan your training schedule to regularly inform your cleaning staff of the various poison and warning labels. Frequent reminders give them the ability to instantly recognise chemical labels instead of having to refer to a manager or have a guess. An information sheet for later reference is a very good step. Training on common pathogens and cleaning procedures should also be mandatory. The same goes for the operation of equipment. Be sure to explain which piece of equipment they’re to use, at what times and why. Combine this with clear signage, in simple layman’s language and you will have better informed staff. Other than you, no-one takes the safety of your cleaning staff more seriously than Alpha Cleaning Supplies. We provide much of the essential safety gear in Perth that every cleaning professional needs. From bulk supply of gloves to protective vests and shoes. We even provide sunscreen, insect repellent and antibacterial wipes. Our motto “Quality in Quantity” means we provide high-quality products in large volumes, giving you excellent value for money. We’re here to protect every professional cleaner whose job it is to sanitise the spaces of others. Feel free to stop by our store or call us today with your enquiry.